Our half day First aid at work annual refresher Course aims to refresh the skills and knowledge of first aiders. These annual refresher courses are strongly recommended by the Health and Safety Executive. This course is ideal for those acting as Emergency First Aiders or First aiders in the workplace, or anyone requiring a general refresher in first aid principles. If you require an initial qualifying course please see our 3 Day First Aid at Work or our 1 day Emergency first aid at work courses. This course is assessed through ongoing trainer assessment and 3 practical skills tests. There is no written test for this course. On successful completion of this course you will be awarded you will be awarded an Level 2 Award in First Aid at Work Annual Refresher certificate, which is valid for 1 year. 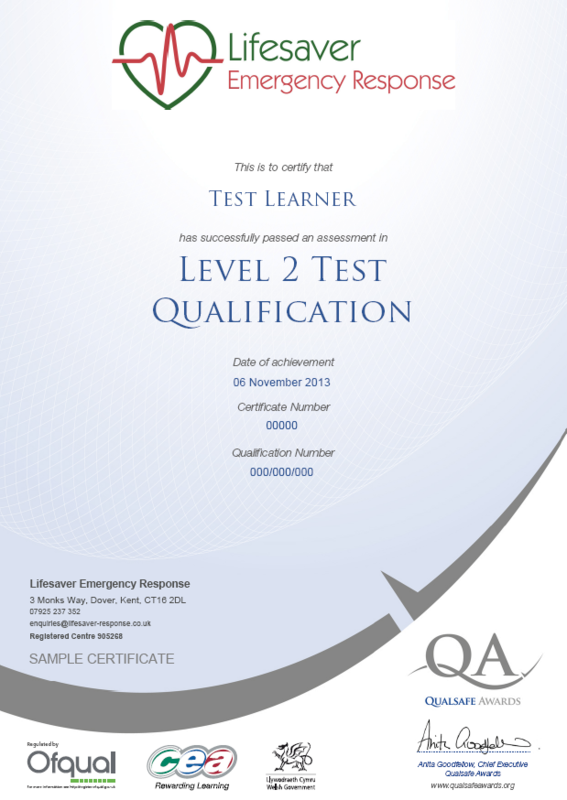 The HSE strongly recommends that these courses are undertaken each year to update skills and knowledge.